South West Maritime Society, 2004, Paperback. No. 4 in the series. Illustrated with black and white photographs & maps. From the cover: “This book starts where others leave off, when Captain James Cook was murdered in Hawaii in 1779, but his third voyage of discovery went on for another 27,000 miles of often hazardous sailing. 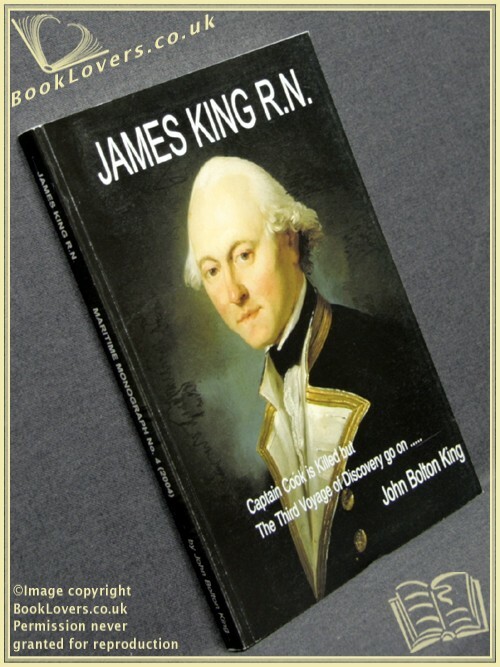 A factual, exciting, and often funny story of those adventures on land and sea as first told in the journal of Lieutenant, soon to become Captain, James King. Many others who were later renowned explorers were on this expedition, including William Bligh, George Vancouver and James Burney. Global navigation comes into this account but, perhaps for the first time, this is a book written just as much for the landsman and layman as for the seaman and naval historian. Admiral G. S. (Steve) Ritchie, Hydrographer to the Royal Navy from 1966 to 1971 and President of the Directing Committee of the International Hydrographic Bureau from 1972 to 1981 has said ‘James King was a fine man and dealt with a difficult situation admirably’." Size: 8¼" x 5¾". In the Maritime Monograph series. 209 pages.